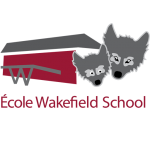 Anouk Marks represented Wakefield School at the WQSB Concours d’Art Oratoire in February and placed second overall in the board competition. Felicitations! Our Grade 6 Destination Imagination team represented Wakefield at the school board DI competition and placed second in the competition. Congratulations to Georgia, Holly, Liam, Samuel, Ella, Ryely and Ashby! Many thanks to the students and parents who dropped off treats or sent in something special for Staff Appreciation week. Thanks too to PPO for organizing very special treats for staff. We appreciate the kind gestures, thank you. Just a reminder that we are having parent-teacher interviews for Term 2 report cards. The school will be contacting only those parents for whom a meeting to discuss your child’s progress is necessary at this time. We will be scheduling these meetings on Friday, March 17th, the upcoming PD day. On March 13th we welcome Ms. Picard, Principal at St. Michael’s High School, who will be visiting with the Grade 6 classes. On March 16th we welcome Ms. Payne, Principal at Hadley. On March 14th Cycle 3 is participating in a French activity from Parc Gatineau on demystifying the identity of canines in the park. The next Governing Board meeting takes place on March 22nd at 5pm in the library. Parent/Teacher interviews take place March 17th by the teacher’s request. Friday, March 17th is a PD day. The daycare will remain open to regulars who preregister by March 13th. On March 24th a team of Grade 6 students will attend a debating competition at Lord Aylmer School.